You are here: Home / Magazine / Did you know Cynthia Lennon’s family? Did you know Cynthia Lennon’s family? 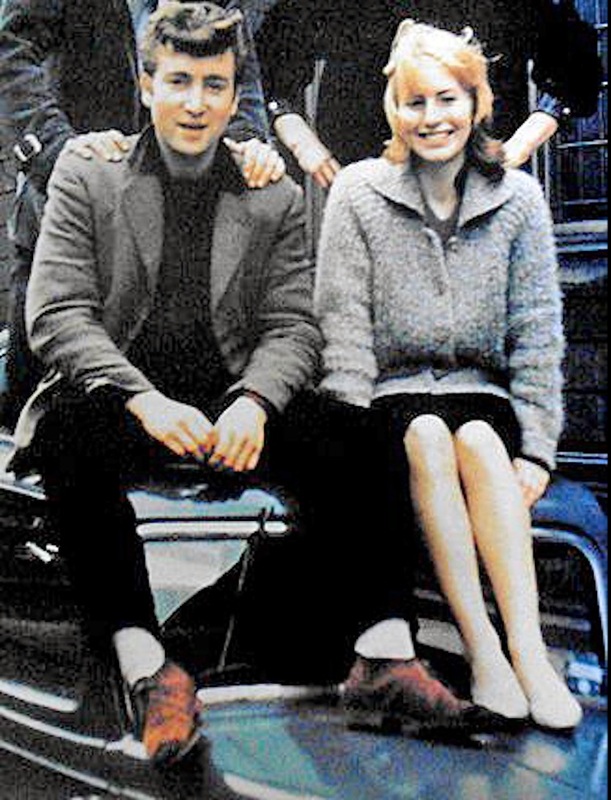 Cynthia Lennon (nee Powell), John Lennon’s wife, and her family lived in Trinity Road, Hoylake. Mike Feeney (website) is writing a book on the influence of the Beatles’ muses and is researching the Hoylake connection. Mike’s seeking people from Waverley Road or Trinity Road in the 1950s who would have known the Powell family (John Lennon’s wife Cynthia’s family). In 1963 I was working for an electrical contractor who were involved in the refurbishing of the Boots chemist shops in Hoylake & Moreton. We lodged with a lovely couple, Mr r & Mrs e dean 12 Grosvenor rd. I started going out with a lovely girl Barbara Booth from Boots in Hoylake. She lived at 57/58 ? Groveland Rd ( off shaw st.). She spoke to me of Cynthia. If you could locate Barbara she maybe able to help you? Barbara used to live with her father (Fred) who worked on the buses ( crosville?). It might be a lead, but that is all I could help you with. I would like to think Barbara is alive and well, such happy memories. Hope this will be of some help to you. My twin sister and I were in the hoylake Girl Guides with Cynthia Powell and knew her quite well from about 1951 until she went to Liverpool school of art. We went to her house on Trinity Road and were on hikes and a camping trip with her during our time in the Girl Guides. We lost touch after she went to college but I remember seeing her on the train coming home, sometimes with John. We lived at Meols so got off train before Cynthia but we would wave as we got off the train. We were the Walshaw twins (Margaret & Barbara. If Cynthia were still alive, I am sure she would remember us. I’m researching that particular part of Cynthia Powells life at the moment and I’m very curious to know about the mysterious Barry from Hoylake. He was her first serious boyfriend until she met John Lennon and his nicknmae was thr Hoylake Romeo. Hi , my school teacher iat Quarry Mount School for Girls in New Brighton ,,Miss Davies , lived next door to Cynthia in Trinity Rd .This was in the 60’s .Maybe Miss Davies ‘s family (she was only young) children ,if she had any in the following years or herself may have info . The Barry you refer to could be Barry Salmon who lived in Alderley Rd, near the cross with Valentia Rd. His father was a window cleaner by the name of Len Salmon. Barry also had sister called Jill. I think he used to help his father on his rounds and then got married later on and left Hoylake. Hope this helps. If I remember correctly, he lived at no. 26 Alderley Rd. He had dark wavy/curly hair and a sort of Mediterranean look., so it’s understandable that he had a reputation with the ladies. Unfortunately Barry is no longer alive he died of cancer probably about 25 years ago. His wife Celia still lives in Greasby he has two sons John and Mark.